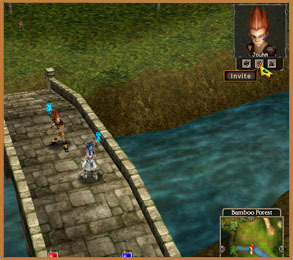 The Party System allows players to form groups to explore the world of Priston Tale. 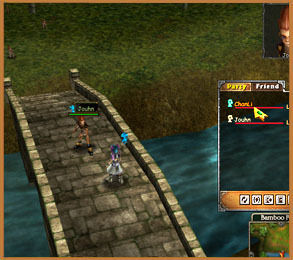 The maximum allowed characters in a party is 6, and XP distribution and party chatting are available once a party is created. 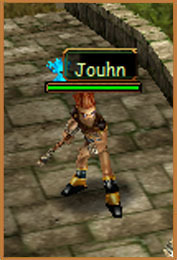 This allows players to tackle difficult monsters that they would not normally be able to battle alone. 1.) 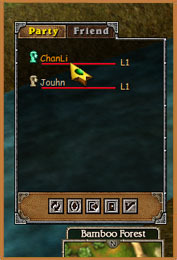 Select a player you wish to group with by clicking on them. Their portrait will appear at the top right corner of your screen. 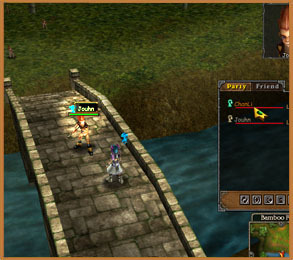 Pressing the Party button will initiate a request for the other player to join your party. 2.) 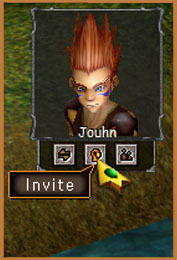 If the player agrees on your party request, a window will appear on the right side of your screen, indicating a party has been formed. 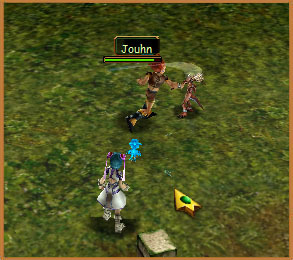 of foes in Priston Tale!